In a Nutshell: When it comes time to decide what to do with your credit card travel rewards, booking a cruise is a popular choice. However, instead of dealing with the long buffet lines and conga line dancing associated with larger-scale Caribbean cruises, keep in mind that not all cruises are the same. In fact, one boutique cruise line, Uniworld, has turned the standard cruise vacation paradigm on its head by giving guests more personalized service and memorable itineraries that explore some of the world’s most iconic rivers. For creating one-of-a-kind, all-inclusive experiences on ships with high staff-to-guest ratios and an average guest capacity of 130, Uniworld has earned our Editor’s Choice™ recognition. These days, even when we’re not working, we’re plugged in. Our always-on digital lifestyles give us few opportunities to decompress, especially when we’re juggling busy careers and raising families. This is why vacations are so important to mental health, and many of us plan and save well ahead for trips that will give us a chance to recharge our batteries. When used responsibly, travel rewards credit cards are an almost effortless way to save money on those hard-earned vacations. Gaining points through everyday purchases is an ideal way to pay for airfare or hotels — giving you one less thing to worry about when it comes to budgeting your next vacation. Let’s face it. Oftentimes, we stay so busy while traveling that we return feeling as if we need a vacation from our vacation. But what if you could take a relaxing trip where you didn’t have to plan anything outside of how late you want to sleep in? What if you could board a luxurious boat in Paris and dreamily float up the Seine toward Normandy’s beaches while dining on world-class cuisine, sipping the finest wines, and stopping only to visit Monet’s home or a medieval castle? On any one of the many award-winning boutique river cruises offered by Uniworld, that scenario and others are possible. Uniworld operates a one-of-a-kind fleet of 18 ships on rivers in Europe, Russia, Egypt, and China. Each ship is a veritable “museum on water,” replete with fine art and design that reflects the culture of each destination on the voyage. The price of Uniworld trips are all-inclusive, and Uniworld really means all. Its cruises offer one of the highest staff-to-guest ratios of any cruise line, with in-suite butler service, delicious onboard dining, and a wide selection of personalized onshore excursions. The company also offers various themed cruises, including Jewish heritage and holiday trips, as well as choose-your-own-adventure cruises targeted to families with children and teens in tow. 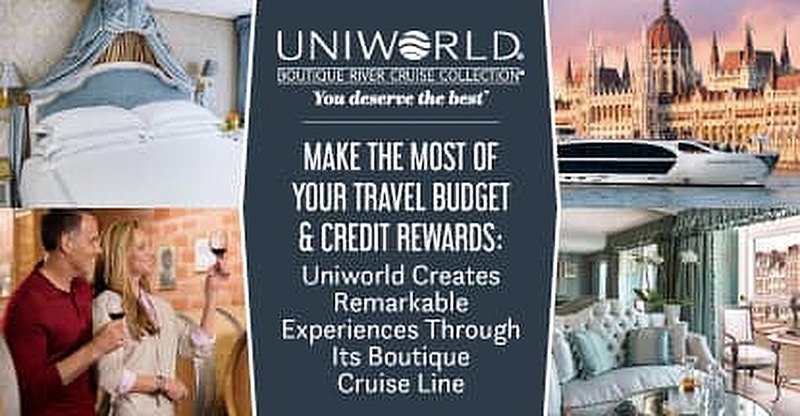 For its extensive itineraries, all-inclusive service, and unique travel experiences, Uniworld has earned our Editor’s Choice™ recognition and should be high on the list of anyone looking to decompress on their next vacation. Uniworld’s cruises don’t come with any surprise “Sorry, but that’s not included” or other such unpleasantries from staff. From gourmet onboard dining and top-shelf cocktails to airport transfers and personalized excursions, everything is covered in the price of the cruise, including all gratuities. Unlike other vacations, a Uniworld cruise is about as stress-free as possible. And with each ship holding an average of just 130 passengers, you won’t be competing for your bartender’s attention, either. Ships have well-equipped onboard fitness centers, where guests can attend classes led by certified instructors. Guests also have access to numerous entertainment options and informative, signature lectures. The slogan among Uniworld’s staff is “No request is too large, no detail too small.” And they deliver on that promise in spades. The average Uniworld ship is a remarkable destination in its own right, and you could have the time of your life even if the ship never left the port. These award-winning vessels are expertly designed and intricately decorated to reflect the destinations you’ll visit on your voyage. For example, the SS Antoinette is fashioned after Marie Antoinette’s 18th century Chateau de Versailles, and the SS Maria Theresa resembles a floating baroque Viennese palace. Each ship is not only unique in design but is also decorated with handcrafted furniture commissioned exclusively for Uniworld. Specially curated original artwork and antiques line the halls. Rumor has it a Picasso hangs in the lobby of one of the ships, and the River Queen is the only ship on any river in Europe with a working fireplace. “Our ships exemplify true artistry, which is at the core of our boutique philosophy and differentiates us from any other boutique river cruise line on the market,” Ellen said. Make no mistake — the scenic beauty you’re treated to from any of the river-view staterooms and suites is a spectacular treat. But you’re not restricted to experiencing the splendor of the northern Italian countryside or the majestic Portuguese coast from the confines of the ship. Some of the greatest perks that come with traveling on Uniworld river cruises are the onshore excursions. Uniworld’s curated shore excursions allow you to immerse yourself in the surroundings of your voyage. Each excursion varies according to the itinerary, and, as with every other amenity, is included in the price of your fare. Options vary from gentle walking tours of cities, towns, and villages along the river, to bike tours and hikes for those who want to be a bit more active. The company’s Exclusive Experiences offer once-in-a-lifetime opportunities to see and experience sites in ways you’ve likely never dreamed of. For example, in Vienna, passengers are given a private art tour of the Vienna Art History Museum showcasing works from some of the world’s true masters. The tour is especially memorable because you and your shipmates are the only people in the entire museum during the tour. If that’s not VIP, we don’t know what is. Going on vacation shouldn’t mean leaving one’s social responsibilities at home. Uniworld’s business model centers on responsibly and sustainably providing unforgettable experiences for passengers, which makes it travel you can feel good about. Uniworld partners with Just a Drop, an organization that provides clean drinking water and sanitation to countries in Asia, Africa, and Latin America. The cruise line also donates many items and materials no longer in use on their ships and develops programs to preserve local cultures, support local businesses, and provide more opportunities for women. This year alone, Uniworld donated $5 from every booking to Just a Drop as part of its participation in the UN International Year of Sustainable Tourism for Development. 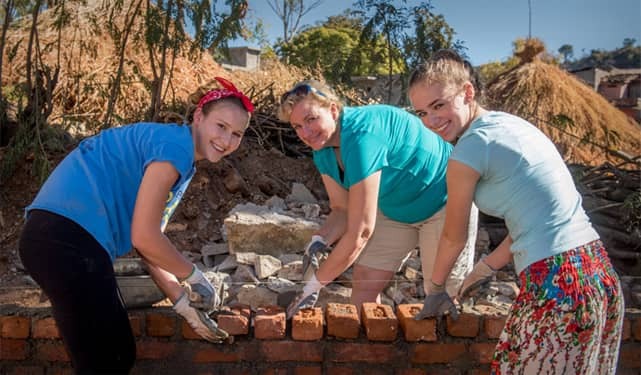 The ME to WE program gives Uniworld guests the chance to volunteer as they vacation. ME to WE, another partnership Uniworld has established as part of its dedication to responsible tourism, combines volunteering and sightseeing in India that allows you to experience local cultures while also helping to make a difference in people’s lives. When it comes to river cruises, Uniworld stands out for creating truly luxurious experiences, and the company’s awards and accolades page demonstrates this. Uniworld maintains a consistent 4.9/5 Feefo score and was Travel & Leisure magazine’s Top River Cruise Line of 2016, and Cruise Critic’s 2016 Editors’ Pick for Best Luxury River Cruise Line. In today’s non-stop cycle of work, school, and family, it’s good to treat yourself to something truly special when you can fit it into your budget. And with travel rewards cards racking up points on everyday purchases you’re already making, your next vacation is closer than you think.